Appetite suppressants stimulate the adrenal glands and alter natural brain chemicals named neurotransmitters. They affect the brain function that is responsible for the sensation of being full and food cravings. Cravings are reduced by lowering the signal which a stomach transmits to the brain when the stomach is empty. Appetite suppressants might also help your body feel satiated by boosting the sense of relaxation, and that decreases unnecessary eating in order to be emotionally content. There are a lot of natural appetite suppressant options to the prescribed drugs on the market that are classified as dietary supplements. 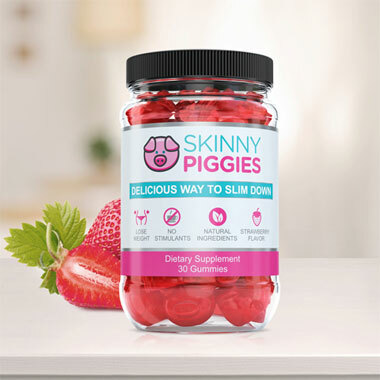 Skinny Piggies are delicious appetite suppressant gummies which contain all-natural substances that have been discovered to lower cravings in several clinical studies. Why Is Appetite Suppressants The Most Trending Thing Nowadays? We all love to eat treats, but they have a tendency to make us heavy. 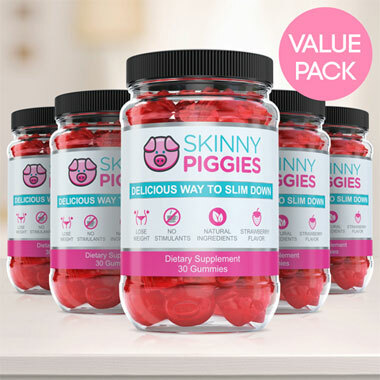 Now, there's a new fix to your dieting that lets you to snack without guilt named Skinny Piggies! These delicious appetite suppressing gummies are created to reduce carb cravings and keep you feeling satisfied, all while promoting healthy weight. The best solution for effective fat loss means consuming fewer calories than you burn. Unfortunately for you, this usually results in an uncomfortably grumbling stomach all day long. is surprisingly straightforward: Eat less calories than your body uses and you'll lose fat, it's so simple! However as soon as you start cutting down calories, and hunger and appetite become impossible to control. That's where Skinny Piggies Gummy Supplements come to the rescue! These delicious appetite suppressant gummies are developed to help you to stick to your dietary plan by making you not hungry. The concept is pretty straightforward. Hunger is controlled by two key things: the number of calories you consume and the feeling of food in your stomach. After a meal, your stomach stretches in size from the food pressing against the sides, which results in you feeling full and no longer hungry. When you start taking Skinny Piggies before eating lunch or dinner, you will feel fuller, faster. Taking a Skinny Piggy with an 8oz glass of water approximately a half hour preceding eating dinner will cause it to expand in your stomach and gives you the perception of having eaten a full meal. This way you can stop the urge to eat and food cravings, hunger, and keep eating less, all without seeming like you're on diet. The gel also allows your stomach to empty gradually leaving you satisfied longer. The sooner you feel full, the less likely you will continue eating which allows you to achieve your weight-loss goals quicker. As the soft gel coats the food, it slows down the digestion of sugars and flattens the level of blood sugar. By reducing quick rises in the blood glucose level you stop those intense cravings too. When you prevent blood sugar spikes by slowing down the absorption of sugars you are also avoiding it from being accumulated as body fat which then activates your body to burn its stored fat for energy. The slower the digestion the longer you stay in weight loss mode. Thereis no end to the types of weight loss pills on the market. From diet dietary supplements to hunger suppressants, it's hard to know what supplement would work for you. No Harsh Stimulants: Taking a weight loss product without caffeine means that there aren't limitations on when you can use it. Genuine Ingredients: Unlike other diet supplements, it's actually possible to pronounce every ingredient in our gummies, knowing that you're eating only high quality ingredients. Wholesome Ingredients: In addition to helping you lose fat, they will also support the healthy hair and nails and keep your skin glowing. Amazing Taste: Very few diet products actually taste great, and none have the same great tasting flavor of strawberry gummies, meaning that our gummies are a pre-meal snack you will look forward to. 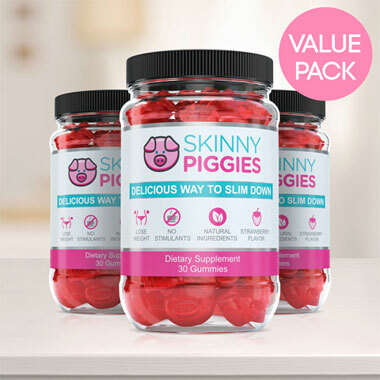 Losing body fat is not easy, but delicious Skinny Piggies are ready to help you make it a bit easier. You'll love the taste of these gummies, so forgetting to eat them will be a breeze. 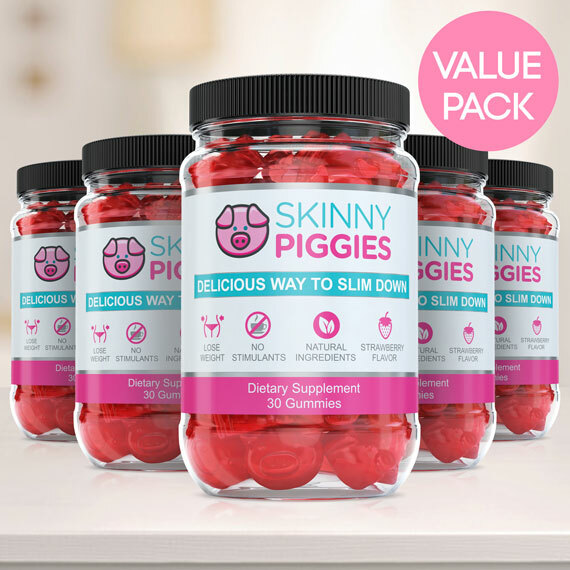 Simple to use and satisfying, Skinny Piggies are dietary supplements that can help anyone.